As many of you may already know, I participate every year in the Buffalo Walk to Cure Diabetes and the Westchester Walk to Cure Diabetes. Both walks help raise funds to find a cure for Type 1 Diabetes, and to make it easier for those suffering with type 1 diabetes, like myself. Here is a little bit of background information…. 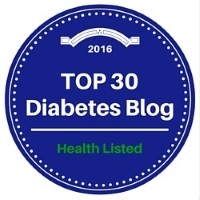 I am currently 24 years old, and was diagnosed with Type 1 Diabetes at the age of 9. I wear an insulin pump called the OmniPod which helps to control my blood sugar levels better — but it is not a cure for Type 1 Diabetes! While many people believe that insulin is a cure for diabetes, it is only a way to manage the disease and try to prevent its complications. That’s why I am committed to JDRF – the only global organization with a strategic plan to fight T1D. JDRF raises funds for research to progressively remove the impact of T1D from people’s lives until it is no longer a threat to anyone. Unfortunately, this year I will be unable to participate in the Buffalo Walk in June. I am graduating college in late May; I have a vacation adventure planned for the beginning of June, and I am unable to travel to Buffalo for the Walk. I am however still raising money for JDRF and need your support! Click below to donate now. My walk team, Calla’s Crusaders, was started in 2001 as a family team in Buffalo NY. We started walking at University at Buffalo; moved locations to Fantasy Island and this year are walking at Delaware Park in Buffalo. In 2011. I created a secondary Calla’s Crusaders team in Westchester County and our team has continued to grow! I am looking forward to raising awareness for type 1 diabetes, and raising money to be one step closer to finding a cure! Did you know that JDRF funds a major portion of all type 1 diabetes research worldwide? That’s more than any other charity! In fact, JDRF funding and leadership is associated with most major scientific breakthroughs in type 1 diabetes research to date, and a cure for type 1 diabetes is within reach. This is why I am asking for your help and support. Please make a donation. Interested in learning more about Calla’s Crusaders and how diabetes affects my life?